So tempting..... and smells like peanut butter! Ok, sorry, but I've already inhaled the top layer because... well.... peanut butter. To be honest, I'm not sure how to describe it at first other than to say it's very flavorful and in a sweet way. 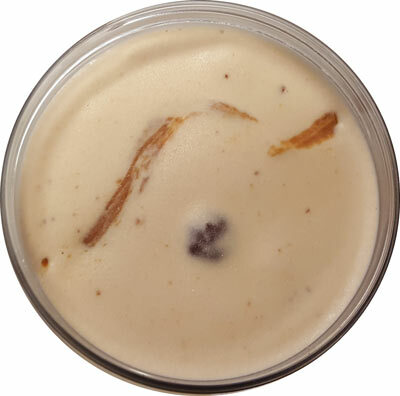 Like a creamy mix of peanut butter and sugar (but with a creamy texture, not a gritty sugar texture ofcourse). It reminds me of something but I can't think of what offhand but I've had this flavor before. It's definitely not one note or flat. The pretzel balls are nice and crunchy but their flavor has trouble yelling over the base... the oh so tasty base that grows on me with every bite. Oh man this is good and the pint is disappearing way too quickly. Anyway, the pretzel balls, all of them are crunchy. 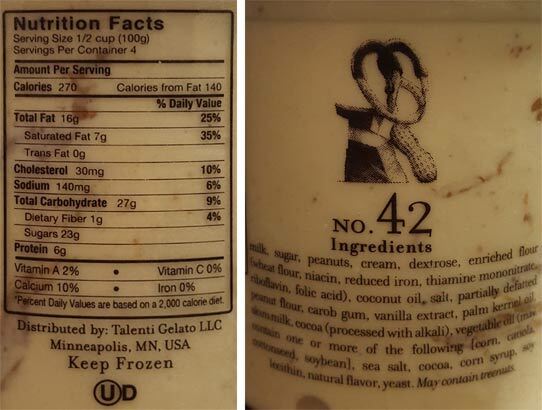 I get the feeling Talenti went back to the drawing board after the inconsistent nature of the pretzel sticks in their Publix exclusive flavor peanut butter chocolate pretzel (#26). Despite being very noticeable on the sides of the pint, I haven't see a ton of the solid swirl in the base. Let me trying digging a little on the sides. The swirl has a really nice flavor but it's hard to grab some of it. It's a nice, rich flavor, not too salty, and it goes nicely with the base. Crud, I'm half done the pint already. Like so many other Talenti flavors, this one is amazing. The soft texture makes it just that much easier to inhale right out of the freezer. The base is nice, the swirl is excellent, and the chocolate covered pretzels add a fairly regular change of texture even if they don't shout out "hey, I'm a pretzel!". 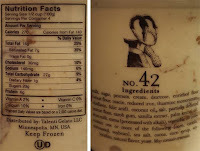 Well done Talenti, I plan on inhaling the rest tomorrow. thank you Talenti, you're doing god's work. The base tasted just like a buckeye candy. A great mix of sugar and peanut butter. This one kind of reminds me of Peanut Brittle from B&J's. This is a good thing. I'm disappointed with it. The base is too sweet and not enough peanut flavor. The pretzel chunks are good, but too few of them. I'll stick with Ben & Jerry's Chubby Hubby. I love your blog. If I had to choose one thing to eat for the rest of my life it would be ice cream. Your review of this flavor got me to rush out to the store to pick it up. I love peanut butter and nothing beats peanut butter and ice cream together. 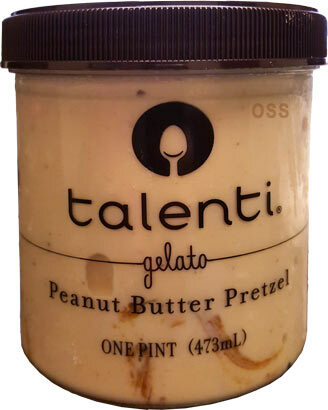 Talenti's texture is always spot on and this one hits you with peanut butter flavor immediately. I purchased it a half hour ago and there is about a quarter of the pint left. I had to force myself to stop eating it. You are right that the pretzel chunks couldn't really compete with the base but I found I didn't mind that much. The base was that good! And when I did manage to get some swirl it was perfect. Just the right amount of salty to offset the sweet peanut butter. This is my new favorite flavor. This review is spot on. 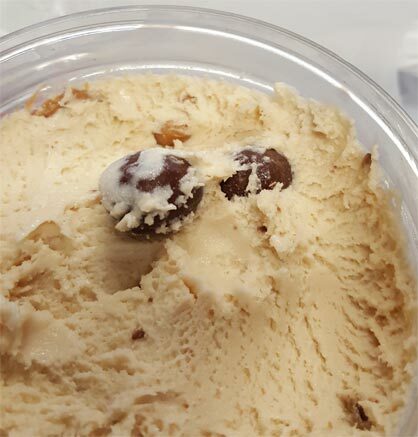 This gelato is so amazing that you hope the pint never ends. My only criticism is with the pretzel balls which didn't add anything except for a textural crunch. Peanut butter cups would have been a better choice. Still, this is a must try at least once for all of us out who love peanut butter.